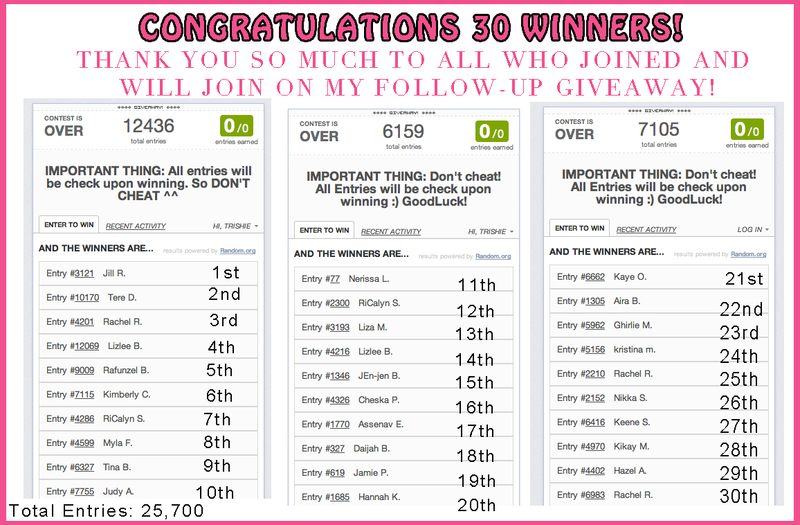 HERE ARE THE 30 LUCKY WINNERS ON MY BLOG LAUNCH BIG GIVEAWAY! I will verify first if that is really your name posted since the surname is only an Initial. Click HERE To know what prize did you won. WAIT THERE'S MORE! I HAVE A SURPRISE! 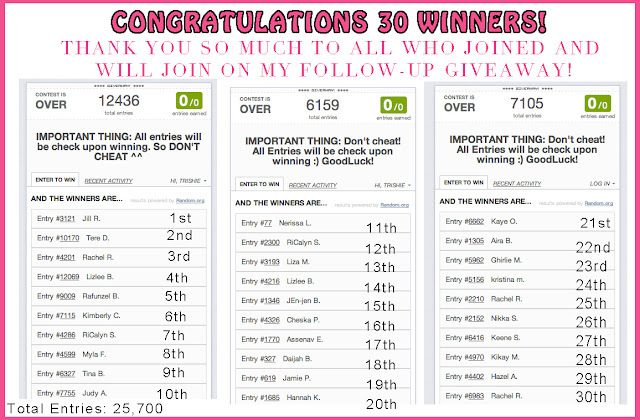 So, Thank You so much for those who win! And for those who didn't, Dont be sad! Because I have a follow up giveaway right away! Let's all welcome my newest sponsor!, REVAMP! And We have a treat for you! 1 WINNER ONLY. You already know our deal. JUST JOIN THE RAFFLE COPTER FOR ENTRIES. STAY TUNED FOR MORE GIVEAWAYS! GOODLUCK! postingan yang bagus tentang MISS YOU MY READERS!